Community Activist and Hip-Hop legend Nipsey Hussle was fatally shot outside his clothing store, Marathon Clothing, in the Hyde Park neighborhood of Los Angeles on Sunday. His death was soon confirmed by a Los Angeles city official. Two other men were shot but the suspect(s) remains at large. Hussle was a community organizer who bridged the gap between technology and culture while promoting ownership and entrepreneurship. He fought for children, inspired millions, and even built Vector90 STEM center in Crenshaw, which provides technical training, professional development and a comprehensive launch curriculum for start-ups. They pride themselves on curating a culturally resonant and inclusive environment. Hussle was part of a team of artists and entrepreneurs who developed Destination Crenshaw, an open-air museum devoted to honoring African-American artistic achievement. Hussle opened Marathon Clothing in June 2017. The store was technologically advanced to the point where customers could use a mobile application to enhance and customize their experience. 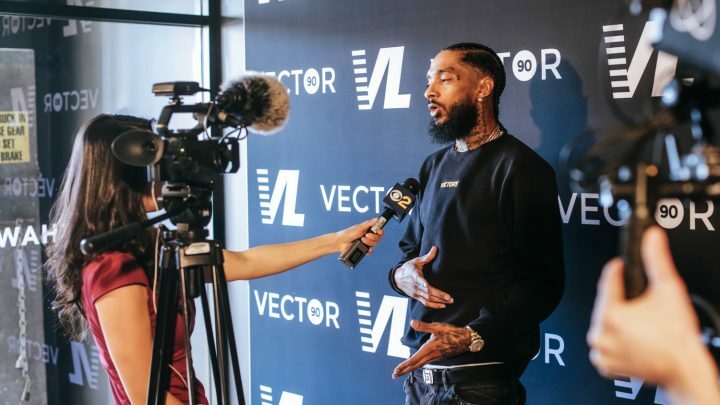 Nipsey Hussle’s death is a huge loss to the world, not just Hip-Hop and Los Angeles. Hussle stood for something greater than the music. He was a man who cared for his community and was doing everything he could to make where he grew up a better place. He was set to meet LAPD Monday to speak on improving gang violence in the neighbor. He was father, a husband, an activist, an entrepreneur, and so much more. Many across the globe have reached out in his memory. Hussle’s last interview was with his wife Lauren London on GQ just a few days ago. Rest in power Nipsey Hussle. Gone at the age of 33.